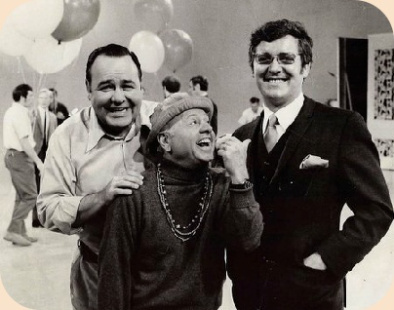 In the 60′s with the two great comedians Jonathan Winters an Mickey Rooney on a set in Hollywood. Check out my Novels, The Games End about elephants and the people in Africa, the Confessions of a Hollywood Agent about Hollywood in the 50′s and 60′s. This entry was posted in Uncategorized and tagged 1950, 1960, 50s, 60s, b&w, black and white, celebrities, hollywood, Jonathan Winters, Mickey Rooney, photograph, stars, Vintage. Bookmark the permalink.